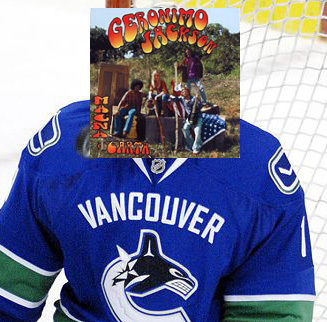 shabbs wrote: GO CANUCKS GO!!!! wprager wrote: No more blown leads. This is where Bl remembers that the C stands for a little more than Canucks. He's got to lead by example and *not* give up 3 goals in a period, period! Good opportunistic play by Vancouver...Mason Raymond is dangerous. Hawks put themselves in a deficit again. Coach Q will need to address the troops...a less than scintillating 1st period for Chicago. Vigneault has prepared his men well, and they are executing. Penalties are killing the Hawks again. Bernier is another key man for the Canucks who scores big goals. NUCKS NUCKS NUCKS! Get my jersey ready! Nasty Nas wrote: NUCKS NUCKS NUCKS! Get my jersey ready! nice goal. tough to stop that rocket with a huge dude in front. Nasty Nas wrote: nice goal. tough to stop that rocket with a huge dude in front.